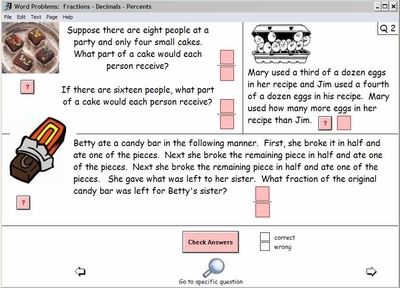 Use skills learned in the "Basic Math Series"
Basic Math Series + Word Problems for Basic Math > Use skills learned in the "Basic Math Series"
Learned skills are applied to solving problems. Students read the question. Analyze its meaning. Students will apply previously learned skills while thinking and problem solving. Students must practice and have mastered the appropriate arithmetic skills program before or concurrently with this problem solving program.